Molded / Embossed Custom Plastic Tokens – Low 1,000 Token Minimum! These Custom Molded/Embossed Plastic Tokens feature any design(s) you choose on both sides of the tokens. Our Customized Molded Plastic Tokens come in four sizes: 15/16", 1", 1-1/8", and 1-3/8" diameter. We also offer Molded Hexagon shaped Plastic Tokens. The minimum order for Custom Molded/Embossed Tokens is only 1,000 pieces! 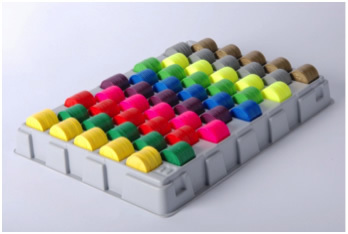 Custom Molded Plastic Tokens Come in a Range of Sizes and Colors! Reusable and less expensive in the long run then paper vouchers, these Customized Molded Plastic Tokens are great for a myriad of purposes. They're terrific as Drink Tokens, Souvenir Coins, Feedback Tokens, Plastic Vouchers, Mardi Gras Coins, Discount Tokens, Parking Tokens, and much more. All types of businesses and organizations can use these Customized Molded Tokens. Our Custom Embossed Tokens are great for Restaurants, Bars, Large Companies, Small Businesses, Non-Profit Organizations, Clubs, Colleges and Schools, Churches, and many other entities! Custom Molded Plastic Token Pricing – FREE Setup! 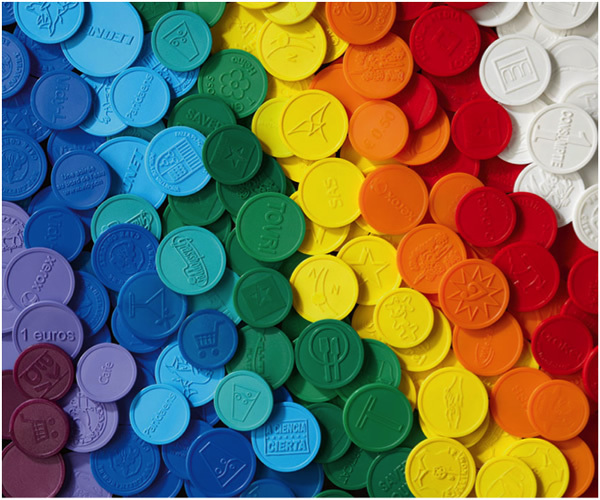 For FREE Token Samples or additional information on our Custom Molded/Embossed Plastic Tokens, or any of our other Custom Plastic Tokens, please contact us at 1-800-233-0828.